This Friday was our annual meltmedia holiday party. As usual, we had a really fun secret santa gift exchange. This year, I drew my friend and coworker Devon Tackett’s name. He’s a big sci-fi fan, so I thought a Spock/Doctor Who mashup would be right up his alley. 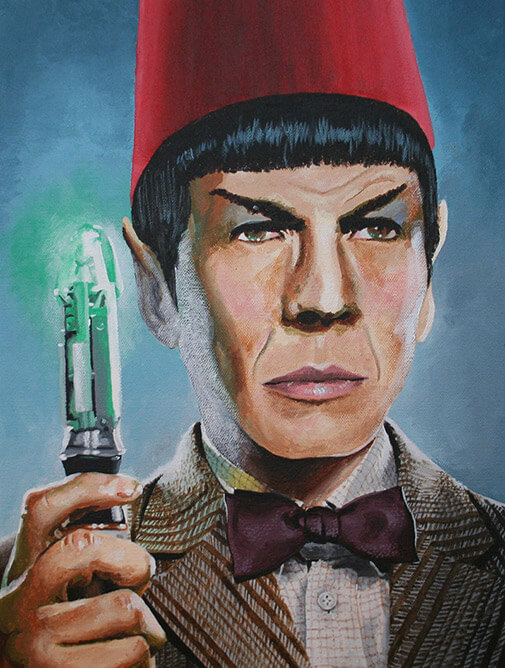 This entry was posted in geekery, meltmedia, painting and tagged doctor who, star trek. Bookmark the permalink.